WASHINGTON, DC--(Marketwired - Sep 21, 2016) - Representatives of the U.S. ethanol industry are speaking out to criticize a University of Michigan study that claims biofuels increase carbon dioxide emissions. The study was funded in part by the American Petroleum Industry. Recently reported by Ethanol Producer Magazine, the study was completed by a team led by research professor John DeCicco. According to information released by the University of Michigan, the study is based on USDA crop-production data. The researchers said their analysis showed that during the period when U.S. biofuel production rapidly ramped up, the increased carbon dioxide uptake by the crops was only enough to offset 37 percent of the carbon dioxide emissions due to biofuel combustion. The study, which was published online Aug. 25 in the journal Climatic Change, claims that rising biofuel use has been associated with a net increase of carbon dioxide emissions and that biofuels are worse than gasoline. The Renewable Fuels Association released a statement stressing DeCicco is a longtime biofuel critic. "This is the same study, same flawed methodology, and same fallacious result that Professor DeCicco has churned out multiple times in the past," said Bob Dinneen, president and CEO of the RFA. "He has been making these arguments for years, and for years they have been rejected by climate scientists, regulatory bodies and governments around the world, and reputable lifecycle analysis experts." "As crazy as it sounds, Prof. DeCicco is essentially suggesting that plants ultimately used for bioenergy don't absorb carbon dioxide from the atmosphere as they grow," Dinneen continued. "In other words, he and his sponsors at the API are arguing that the scientific community's centuries-old understanding of photosynthesis and plant biology is wrong. DeCicco's assertion that plants somehow emit more carbon when burned as fuel than they take in from the atmosphere during photosynthesis defies the most basic laws of plant physiology." "Just like Prof. DeCicco's last study, this work was funded by the API, which obviously has a vested interest in obscuring and confusing accepted bioenergy carbon accounting practices," Dinneen said. "It's a bit like the tobacco industry funding a study that says bubble gum is worse for the human body than cigarettes. While it's flattering that API has taken such an interest in the climate benefits of biofuels, the public would be better served if the oil industry spent its time and money examining and owning up to the very real -- and very negative -- climate impacts of petroleum. 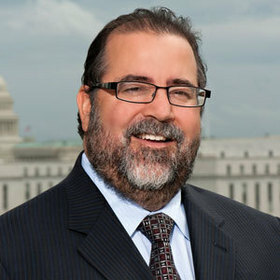 Dinneen stressed that biomass crops used to produce energy act as temporary carbon sinks. During growth they quickly absorb carbon dioxide from the atmosphere, and return the same amount of carbon dioxide to the atmosphere when the carbon crop is combusted for energy, he said. "In this way, the use of biomass for energy recycles atmospheric carbon as part of a relatively rapid cycle. In contrast, the use of fossil fuels adds to atmospheric CO2 by emitting carbon that was previously sequestered deep underground for millions of years," Dinneen said. "According to researchers at Duke University, the University of Minnesota, and Oak Ridge National Laboratory: 'A critical temporal distinction exists when comparing ethanol and gasoline lifecycles," Dinneen continued. "Oil deposits were established millions of years in the past. The use of oil transfers into today's atmosphere GHGs that had been sequestered and secured for millennia and would have remained out of Earth's atmosphere if not for human intervention. While the production and use of bioenergy also releases GHGs, there is an intrinsic difference between the two fuels, for GHG emissions associated with biofuels occur at temporal scales that would occur naturally, with or without human intervention. ...Hence, a bioenergy cycle can be managed while maintaining atmospheric conditions similar to those that allowed humans to evolve and thrive on Earth. In contrast, massive release of fossil fuel carbon alters this balance, and the resulting changes to atmospheric concentrations of GHGs will impact Earth's climate for eons." Growth Energy has also spoken out to criticize the University of Michigan report. "Overwhelmingly, objective research demonstrates that biofuels are among the best tools we have to reduce greenhouse gas emissions and combat the effects of climate change," said Emily Skor, CEO of Growth Energy. "The latest attacks from John DeCicco and his sponsors in the oil industry reflect the same bogus arguments they have made for years, and policymakers aren't going to be fooled. As the Department of Energy's Argonne National Laboratory has demonstrated, ethanol is an earth-friendly biofuel that reduces greenhouse gas emissions by an average of 34 percent over their its lifecycle, while advanced biofuels can reduce emissions by 100 percent or more over conventional gasoline." "This latest report is just another desperate attempt discredit the nation's most successful clean energy program," Skor continued. "The renewable fuels standard is bringing cleaner, more affordable options to the gas pump, and those biofuels have helped to cut greenhouse gas emissions by 110 million metric tons every year -- the equivalent of taking nearly 20 million vehicles off the road. Ethanol also has helped save consumers as much as $0.50 to $1.50 per gallon. More bogus climate science from the oil industry can't change that." Since 1995, Ethanol Producer Magazine is the ethanol industry's premier trade journal. With its commitment to editorial excellence and high-quality print production and distribution, it is widely recognized as the business-to-business publication of note throughout the global ethanol industry. With compelling profiles, insightful news and commentary, and engaging features on plant optimization, research, science, technology, equipment, environmental health and safety, compliance, marketing, policy and industry events, Ethanol Producer Magazine is the magazine ethanol producers turn to.